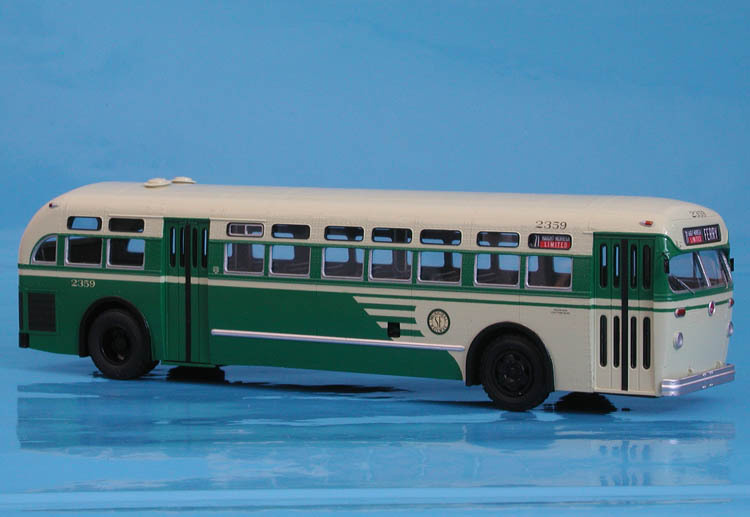 Model 1955/56 mack c-49 dt (san francisco municipal railway 2100-2199; 2200-2269 series). 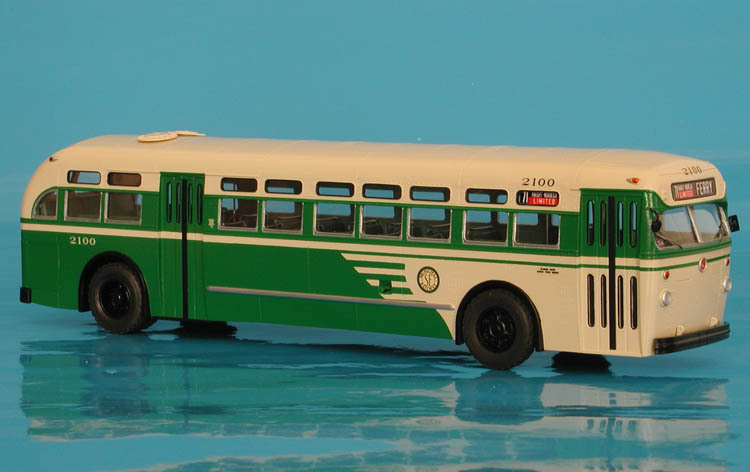 1955/56 Mack C-49 DT (San Francisco Municipal Railway 2100-2199; 2200-2269 series). 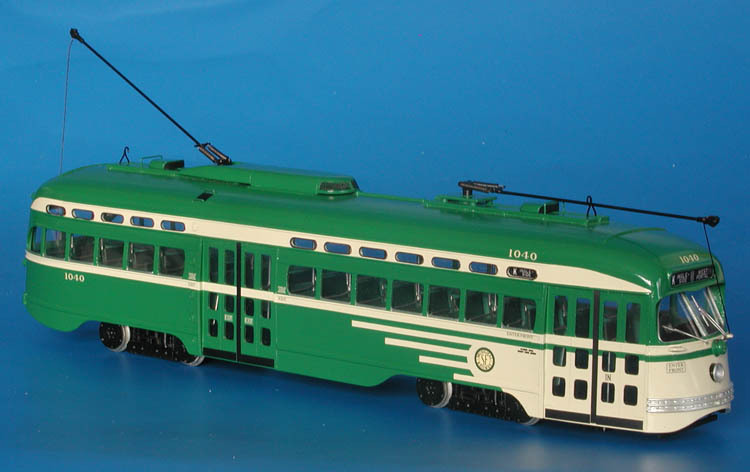 The first one hundred Macks for San Francisco Municipal Railways were built in October-November 1955, numbered 2100-2199. 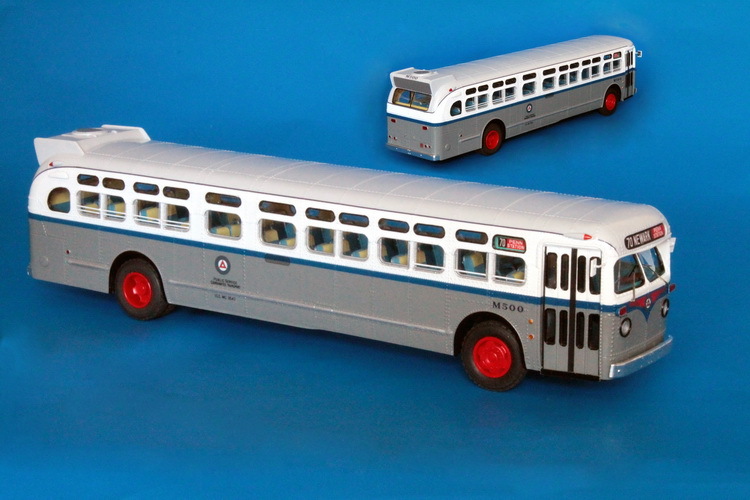 Next seventy coaches of the same design were delivered in January-February 1956 (2200-2269 series). 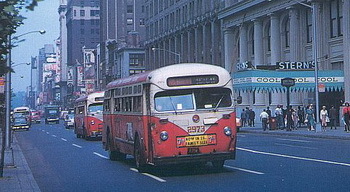 The new fleet of 170 coaches served as replacement for the B and C cars at the end of 1956 and also permitted retirement of most of old White gasoline coaches from the 1940s. This group of coaches had round turn signal lamps, black bumpers and emergency door on the left side of the bus. 1957/58 Mack C-49 DT (San Francisco Municipal Railway 2300-2369; 2400-2469 series). 1951/52 San Francisco Municipal Railway St.Louis Car Co. PCC (Job 1675, 1016-1040 series) - one-man operation (post'54). 1956 Mack C-49 DT (Surface Transportation Corp. 2962-2989 series). 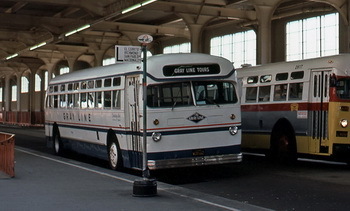 1957 Mack C-49 DM (Gray Line San Francisco). 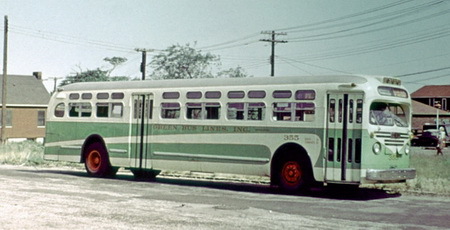 1952 GM TDH-5104 (Green Bus Lines 351-365 series).